Wanganui is located on the South Taranaki Bight, close to the mouth of the Whanganui River. It is 200 kilometres north of Wellington and 75 kilometres northwest of Palmerston North, at the junction of State Highways 3 and 4. Most of the town lies on the river’s northwestern bank, although some suburbs are located on the opposite side of the river. It enjoys a temperate climate, with slightly above the national average sunshine (2100 hours per annum), and about 900 mm of annual rainfall. Several frosts can be experienced in winter. WhÄngÄ nui means big bay or big harbour. 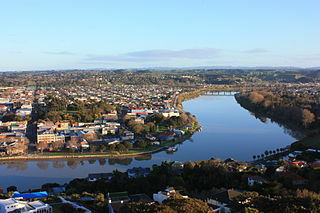 Wanganui also spelled Whanganui, is an urban area and district on the west coast of the North Island of New Zealand. It is part of the Manawatu-Whanganui region. Although called Wanganui from 1854, the New Zealand Geographic Board recommended that the name be changed to “Whanganui”, and the government decided in December 2009 that, while either spelling was acceptable, Crown agencies would use the Whanganui spelling. In the local dialect, MÄori pronounce the phoneme wh as [Ë€w], a w combined with a glottal stop and (often [f]) by those MÄori speakers from other areas who knew its derivation. Prominent buildings of the city include the Sarjeant Art Gallery, Durie Hill War Memorial Tower with 176 steps to the top, Watt Fountain and the Royal Wanganui Opera House, which was built in 1901. Cook’s Gardens is a major sporting venue, used for cricket, cycling, and athletics. On January 27, 1962, a world record time of 3 minutes 54.4 seconds for running the mile was set by Peter Snell on the grass track at the gardens. Much of the city is on the river’s northwest bank. The river is crossed by four bridges – Cobham Bridge, City Bridge, Dublin Street Bridge and Aramoho Railway Bridge (rail and pedestrians only). Close to the southeast end of the City Bridge is one of Whanganui’s more unusual features, an elevator leading to a monument on the top of Durie Hill. Much of Whanganui’s economy relates directly to the fertile and prosperous farming hinterland near the city. Heads Road is Whanganui’s main industrial area and is home to a number of manufacturing and engineering operations. The Wanganui Port, once the centre of industrial transport, still has some traffic but is more noted for the Q-West boat building operation there.